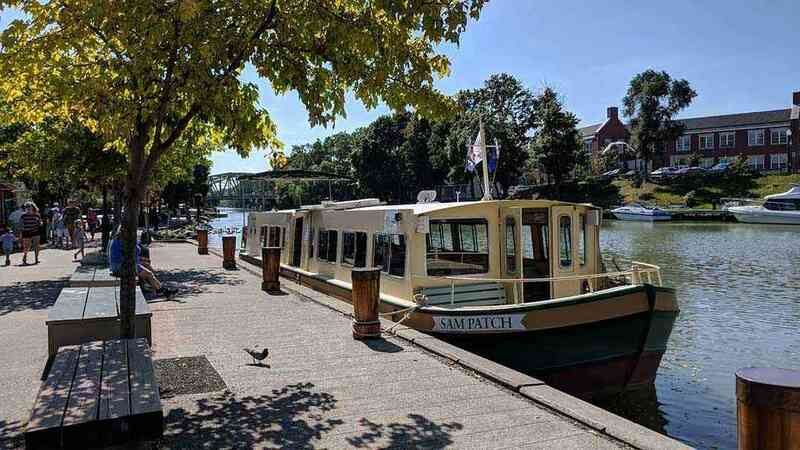 The Sam Patch is a replica 1800s packet boat that serves as a floating history museum for tourists, locals, and 4th graders all around the Rochester area. 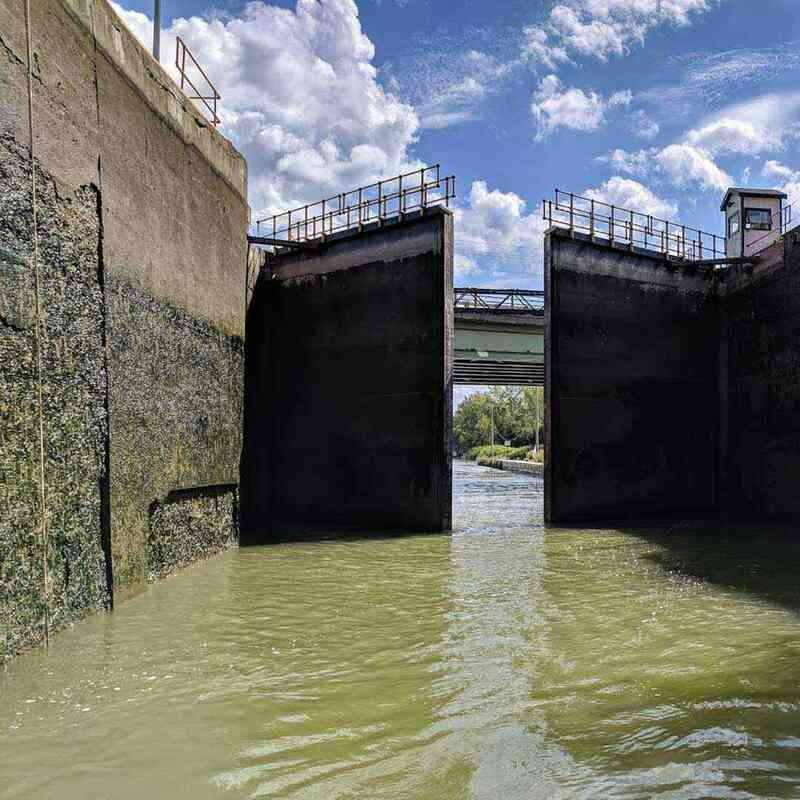 Sam Patch Erie Canal Tours are a great way to immerse yourself in the canal’s history and operation during your narrated cruise. 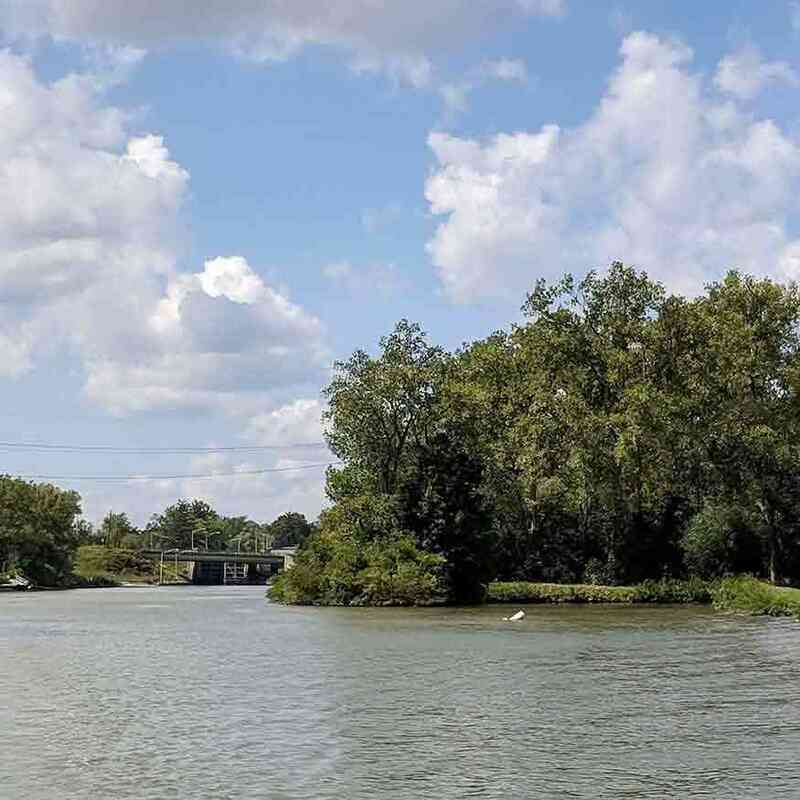 Watch for details about two “citizen science” cruises planned for the 2019 season. Take a 90-minute cruise offered 2-3 times daily May through October. 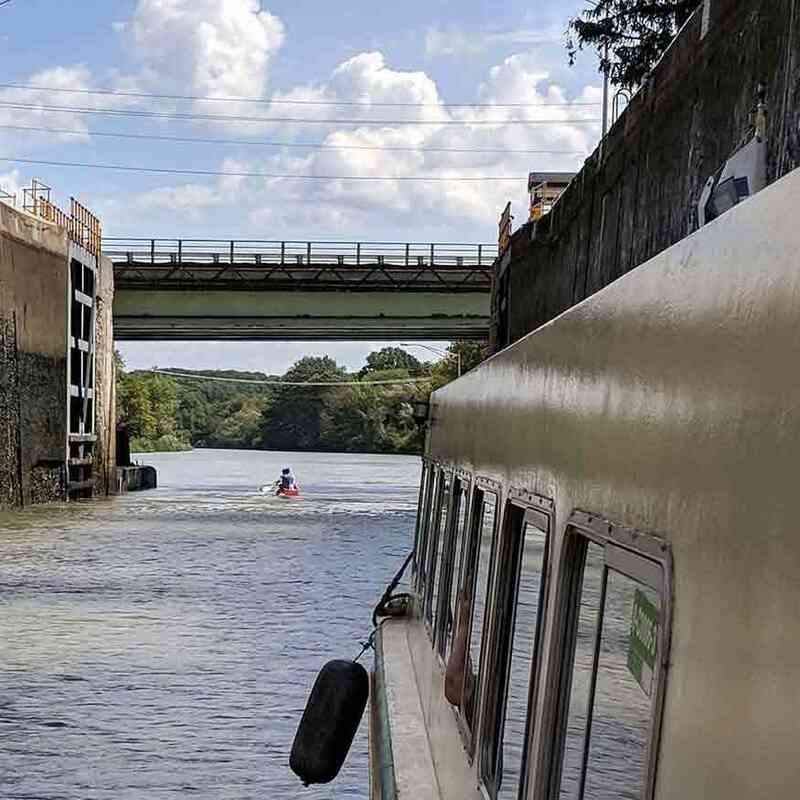 Even if you’ve grown up here with the canal in your backyard, a ride on the Sam Patch is a relaxing way to spend an afternoon. Daily cruises depart from Schoen Place in Pittsford. 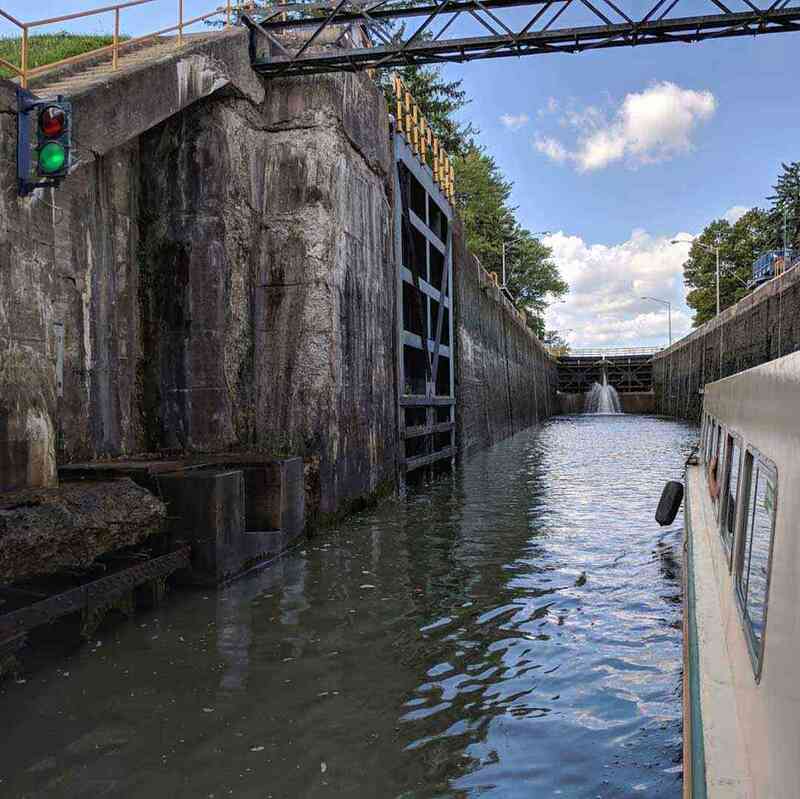 You can go to any of the locks along the canal and watch boats lock through, but there’s nothing like experiencing it! 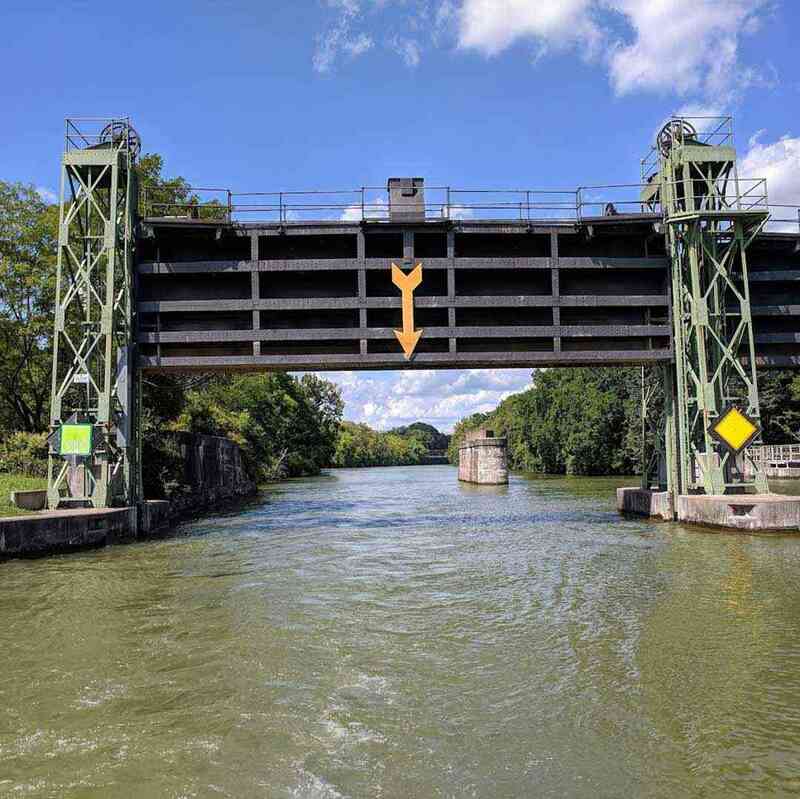 The white buoy marks the original patch of the Erie Canal when it ran through the City of Rochester. 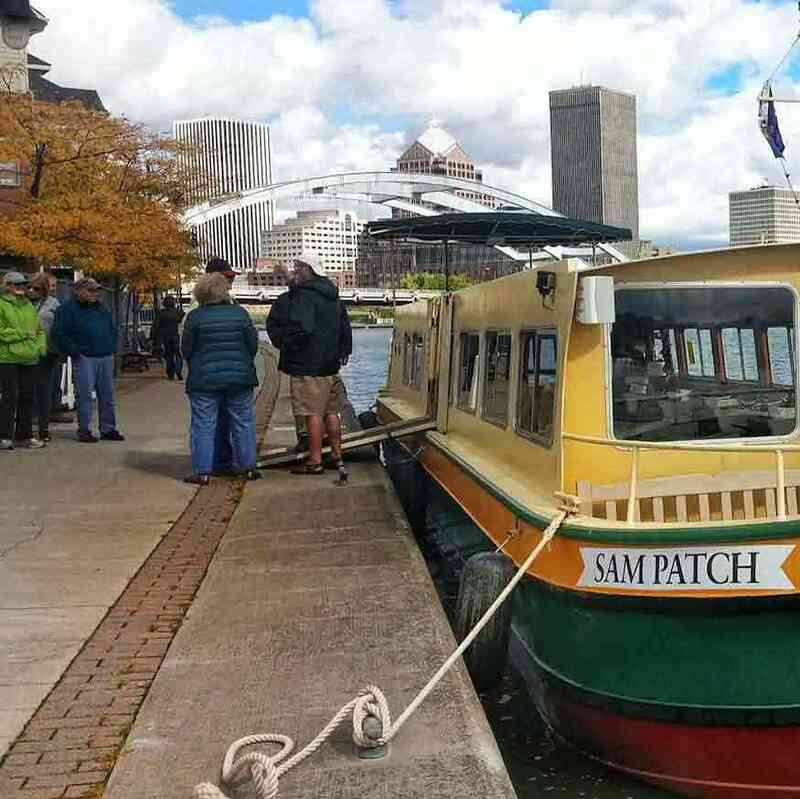 Sam Patch Erie Canal Tours offers special events throughout the season. Past themes have included sunset yoga, live music, wine tastings, and a Fourth of July fireworks cruise which I’m hoping they do again next year. 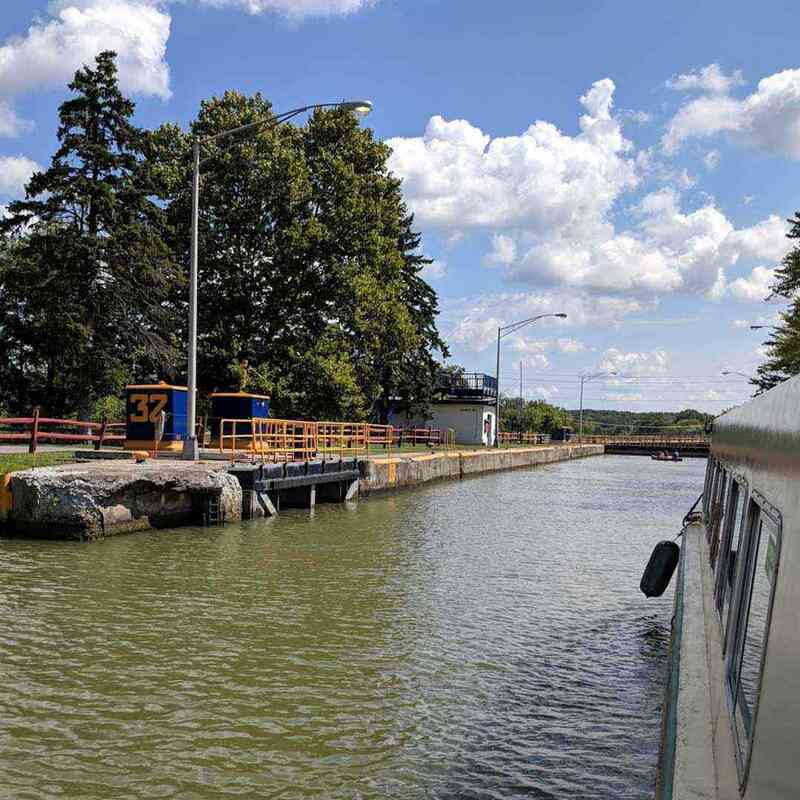 Most event cruises depart from Pittsford. 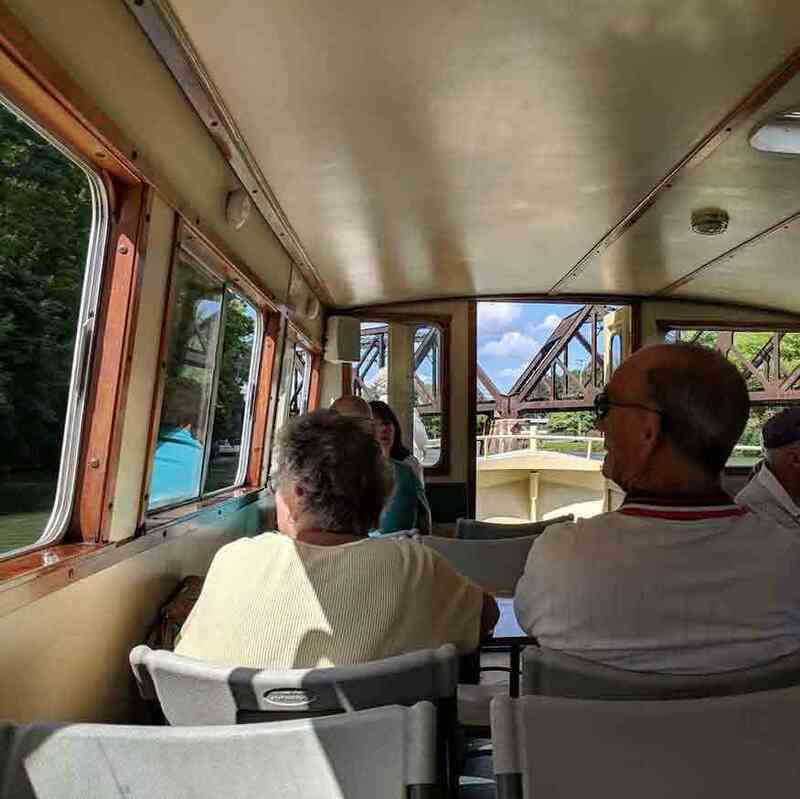 Some events begin at Brooks Landing near the Staybridge Suites hotel, like cruises during the Corn Hill Festival or Genesee River Romance. 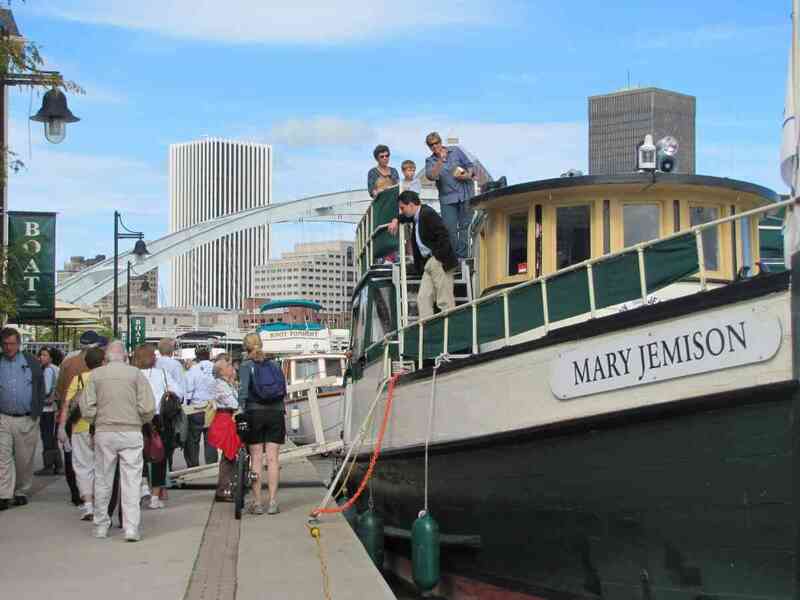 If you’re lucky you’ll hop on one of their rare 2-hour excursions from Pittsford to Corn Hill Landing in the City of Rochester. These are usually one way, meaning they depart from Pittsford and end in Corn Hill, or visa versa. You’ll need to think about return transportation. They do this because they need to move the boat to a new location, maybe for a wedding, and why not offer people an opportunity to ride along! We’ve parked cars at both ends in the past.